"In Jesus' Name We Pray." 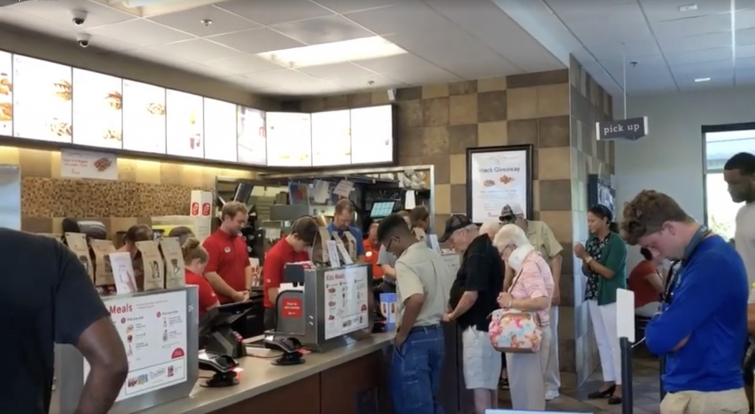 Some employees at a Belmont, NC Chick-fil-A are showing how much they love and appreciate one of their co-workers by rallying around her with prayer. Chick-fil-A employees are constantly making headlines for amazing acts of service, usually for their dedication to the company and their customers. This prayer is another example of who they are as a company.